Monday through Friday, before noon. Where do you deliver meals? We deliver to residents in East Hampton Village, Springs, Northwest Woods, Wainscott, Amagansett, Montauk and parts of Sag Harbor. We contract wth Dreesen’s Catering, on Lumber Lane in East Hampton Village to prepare the meals. Do you provide seven day delivery? We deliver Monday through Friday, and weekend meals are delivered on Friday if needed. How do you sign up for meals? You must fill out an application. Call the Meals on Wheels office at (631) 329-1669. The office is open Monday through Friday, from 8:30 to 1:00 pm. If you call after hours, be sure to leave a message. Does Meals on Wheels deliver in inclement weather? If the weather is very bad (snow/sleet) we will deliver “blizzard bags” before an anticipated storm. Of what do the meals consist? We provide a hot and cold meal each day. The hot meal includes an entrée and two sides. The cold meal includes a sandwich, juice and milk, a fruit, buttered roll and dessert. Do you have to be home when the meal is delivered? No. If you plan to be out, call the office so we can give specific instructions to our driver. Are meals delivered on major holidays? Yes, on every major holiday except New Year’s Day. How much do the meals cost each day? The meals cost about $15 per day. If you cannot pay that amount, we can offer a siding scale according to what you can afford. 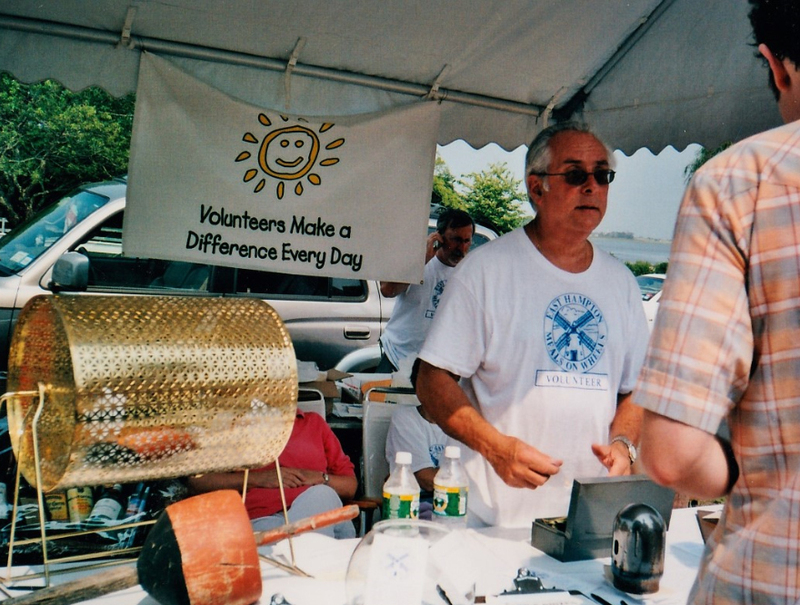 To volunteer, do you need to commit to specific hours every week? No. If you can not volunteer once a week, we are always in need of substitute drivers. What do you need to volunteer? You need a valid driver’s license, and proof of insurance. What do you do if a client does not answer the door? If you do not want to drive a route, is there another way you can volunteer? We are also in need of people to pack the meals each morning. I can’t volunteer. How else can I help? The number of clients is increasing and meal costs are rising. Monetary donations are needed to sustain us in the coming years. How can my business or organization get involved?